Much has been said and written about the legend that was G.N.B., his life, his personality, his music, his versatility and his achievements in the short span of his life. So the reader may wonder why I am carrying coal to New Castle by writing another article on this extraordinary musician who strode like a colossus among the greatest musicians of his time. It is because, as an ardent devotee of his music for over seven decades, I never had a chance to pay my tribute, in any form, to him or to his memory in a public forum. Thousands of admirers of G.N.B. were and are aware that those letters stood for Gudalur Narayanaswamy Balasubramaniam but to me those represent the Genius Nadhopaasaka Balasubramniam. I firmly believe that geniuses are born and not made and everybody who is familiar with G.N.B.’s music would agree, without any reservation, that he did belong to that exclusive club. I hasten to add that by this remark I mean no disrespect to the famous musicians of his time who were giants of the profession. Since I am neither a musician nor have any expertise in carnatic music, I will restrict this article to my own humble impressions of his magnificent music gleaned from four of the many concerts of his I was fortunate to attend. Although I always enjoyed carnatic vocal music from my childhood and was familiar with the names of the musical greats of the late thirties through All India Radio, I never had a chance to listen to any of them live until December 1939 when my brother, Sri. Ramabhadran (SAFE), and I chanced to visit the famous Exhibition held every year at the sprawling Congress grounds in Teynampet. 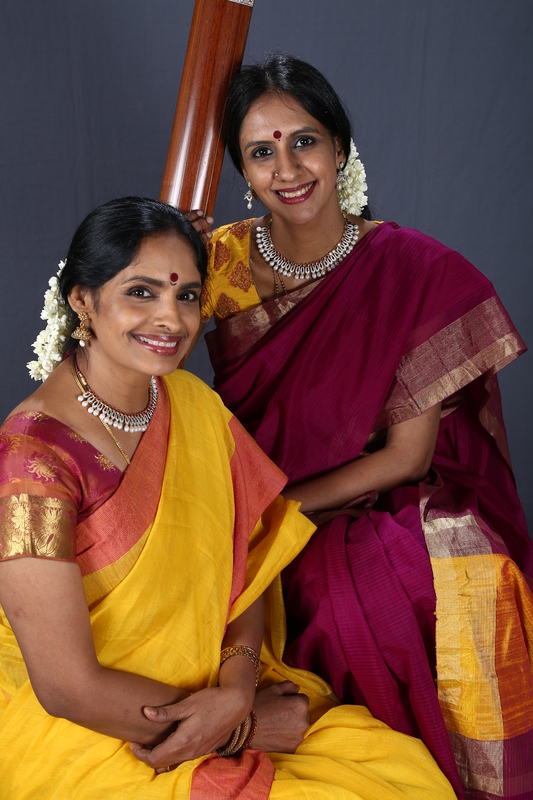 I was nine years old then and my knowledge of carnatic music was so rudimentary that I thought, if I could be a trifle facetious, that Kalyani and Vasantha were names given to girls. The truth of the matter is that I could not identify either of those ragas (or any other raga for that matter) whenever and wherever they were elaborated. Anyway, when my brother and I walked through the portals of the exhibition, we were struck by a rich and commanding voice that wafted over the din. Curious to see who it belonged to, we followed the voice to a makeshift theatre that was filled to capacity. From a distance we could discern a group of musicians ensconced on a dais. The vocalist was a strikingly handsome man sitting ram-rod straight, resplendent in pure white clothes with diamond studs sparkling from his ear lobes. What attracted me to him was his uniquely captivating voice the like of which I had never heard before. It was at once sonorous and soothing, dazzling and daring, lilting and sensual, and it wrapped me in a cocoon of absolute bliss from which escape was impossible; verily like the ‘Chakra Vyooham’ into which Abhimanyu was drawn but did not know how to break out. I cannot recall who his accompanists were or what krithis he sang on that occasion but they scarcely matter because I became a slave to his divine music just from that moment. Since then I had the good fortune to have attended many of his concerts and listened to a few over the radio until his shocking and untimely demise in 1965, except for a period of six years from 1955 when I was in the States to get my Doctorate and carry out post-doctoral research. En passant, I have to mention here that one of my greatest regrets is that I missed G.N.B.’s music during that long period when he was at his glorious best! The other one is that I never had a chance to meet and get to know him. I would like to share with the reader the impact that four concerts of the great genius, that I was fortunate to be present at during various stages of my life, had on me. The first one was in 1945 at Kumbakonam whither my family and I had moved two years earlier during the World War II mass exodus (euphemistically called ‘evacuation’) from Chennai. It was the year of the ‘Mahamakam’ festival which is celebrated once in 12 years on a grand scale at Kumbakonam during which a series of concerts featuring great musicians of the time were held. Two such musicians were G.N.B. and Madurai Mani Iyer whose concerts were arranged on successive days. Just two weeks before the festival, a rumour to the effect that Madurai Mani Iyer had passed away after a brief illness spread around like wild fire casting a pall of gloom over the entire concert series and leaving carnatic music lovers stunned. However, within 24 hours the news that Mani Iyer was alive and recovering from a serious illness was announced over the radio and published in the newspapers. While the good news came as a great relief to the experts and laymen alike, no one was sure whether Mani Iyer would be fit enough to perform on the scheduled day. 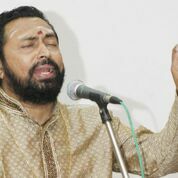 In the event, he not only fully recovered but went on to give an outstanding concert marked by a terrific aalapana of Kamboji and the fabulous rendition of his favourite krithi ‘Kaana kan kodi vendum with remarkable niraval of ‘Maanikkam vairam muthal’ followed by cascade of lilting swaras. The following day was G.N.B.’s turn. He was 35 then and in fine mettle and I was nearing 15 with a slight improvement in my ability to recognize a few popular ragas. After a breezy varnam, G.N.B. built up a terrific tempo leading to Kamboji which he took on as though it were a challenge to Mani Iyer’s rendition of it the day before. Every appealing facet of this grand raga was unravelled step by step in as much minute and loving detail as a Flemish diamond expert would invoke in cutting and polishing a raw diamond to brilliant perfection. The krithi chosen was ‘Ma Janki’ the pallavi of which starts off on a higher octave than most of the other compositions in that raga. In his typical madhyama kala tempo he rendered the song with his inimitable sangathis leading to an exhaustive niraval at ‘Raja raja vara’ in three octaves followed by a spectacular swaraprasthara which brought the house down. Those two concerts by the stalwarts were the talk of the town for days with the experts not being able to decide which was better! Again, I cannot recall who the accompanists were for either of the artistes. The next concert was at New Delhi 1949 when I was in my first year of M.Sc. course at the University of Delhi. The maestro’s accompanists were T.N. Krishnan (he was Master Krishnan then) and Palani Subramania Pillai. Early on in the concert he elaborated the raga Andolika. Although I was, by then, familiar with two songs, ‘Raga sudharasa’ and ‘Sevikka vendum ayya’, in that terrific raga, I had never heard an aalapana of it before. In one word, it was stunning! The difficult high notes were reached with gay abandon and at lightning speed bedecked with amazing brigas, leaving the audience spell bound. The coup de grace was delivered with an amazing array of swaras following a beautiful rendering of the krithi. The great and gifted accompanists were scarcely able to keep pace with the torrent but they did manage beautifully! After a couple of whirlwind songs, the genius unleashed a mind-boggling campaign for the conquest of Mount Begada the like of which one comes across but once in his or her life time. Although born of the majestic Sankarabharanam, this precocious offspring is, in my opinion, more captivating than the parent offering enormous scope for manodharma. According to one of the biographies of Maha Vidwan Patnam Subramania Iyer, he once sang Begada for three days without repetition of phrases and that from then on he came to be known as Begada Subramania Iyer! One of his disciples, the famous Vidwan Tiger Varadhachariar was known for his detailed and beautiful rendering of this raga. No wonder then that G.N.B., who had a brief tutelage under Tiger, had imbibed the nuances of Patnam’s Begada through the former. This was quite apparent in G.N.B.’s organized and carefully planned approach to the summit. Unlike the mountaineer who moves fast to establish an advanced camp before his slow ascent to the summit, G.N.B. began the raga in a leisurely tempo in the lowest octave to build a base camp reflecting the raga’s grandeur. The advance camp was set up via medium tempo and middle octave after breath-taking and detailed negotiation of the intricate passages, nuances and subtleties of the raga. By then there was pin-drop silence in the hall. The final blitzkrieg to the summit was brilliantly conceived and consummately executed and G.N.B. took the entire audience with him to the summit for them to enjoy the glorious vista of the indescribable thaanam and pallavi replete with ragamalika swaras that followed. In all, he spent about 75 minutes on that R.T.P. and to this day I am reminded of that incredible Begada whenever I hear it sung! The third concert was at the new T.T.K auditorium of the Music Academy in December, 1961, with Lalgudi Jayaraman and Palani Subramania Pillai as accompanists. I had just returned from my sojourn in the States to learn that the great man was recovering from a bout of serious illness. G.N.B. did look a little haggard and there was apprehension pervading the atmosphere of the auditorium. However, with the varnam it vanished like the morning dew and the maestro regaled the audience with a scintillating three-minute sarva laghu swara korvai at the end of the Hindolam krithi ‘Manasuloni marmamu’ and an enthralling elaboration of the Kalyani raga as he alone could. The krithi chosen was Saint Thyagaraja’s ‘Nee mahima pokada tharamaa’ which was rendered spiritedly with an amazing niraval at ‘sura sevitha sreenivaasaa’ laced with brigas followed by a spectacular swaraprasthara in which Lalgudi and Palani joined with gusto to a thunderous ovation! The last one was at Bombay in 1964 when I was a Senior Research Scientist at CIBA Research Centre located in the suburb of Goregaon. The Shanmugananda Sangeetha Sabha which organized it, usually schedules two concerts by a visiting musician on successive days to accommodate its 4000 members. However, because of G.N.B.’s delicate health, Sri. T.V. Ramanujam, the President of the Sabha at that time, decided to hold only one concert instead. Needless to state that the cavernous hall was filled to capacity. The maestro’s accompanists for that concert were Chowdiah, Palghat Mani Iyer and Swaminatha Pillai (son of the legendary Pudukottai Dakshinamurthy Pillai) on the Kanjira. When I saw G.N.B. on the stage he looked frail and my heart was filled with remorse. 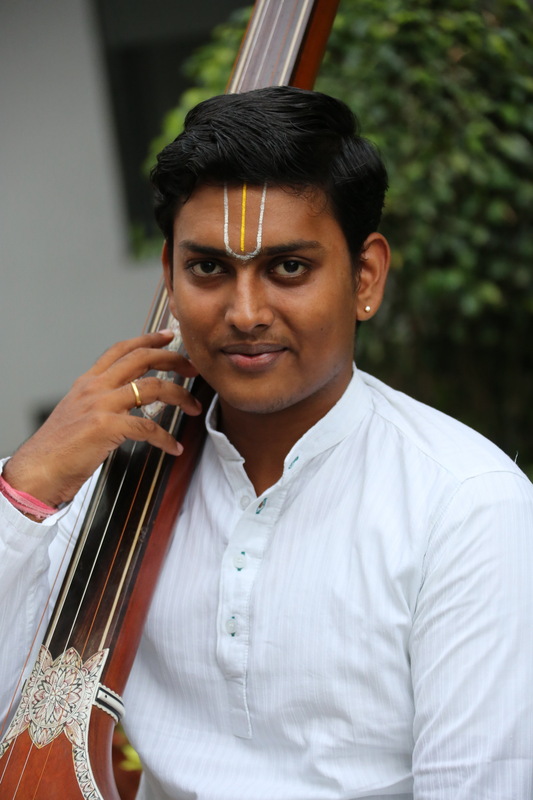 But the concert turned to be one of his best probably because of the following reasons: First, he was inspired not only by the presence of his old friends Chowdiah and Palghat Mani Iyer but also of Swaminatha Pillai who was playing for him for the first time. Secondly, his good friend and admirer, Sri. Ramanujam, was present to cheer him on. Thirdly, the audience of over 2000 eager fans. So he rose to the occasion. Although his voice did not have the range it used to traverse, it was still robust enough for him to explore the raga Mohanam at length to unfold its beauty. The fetching composition, ‘Sri Rama ramanee manohara’ was rendered lovingly with the niraval at ‘Athulitha divya guna’ and an intricate swara pattern as if to challenge the masters of laya on the stage to which they responded brilliantly and together with Chowdiah made Mohanam a memorable experience! However what made the concert especially memorable, is the krithi, ‘Parama krupa saagari, in Yedukulakambodhi which G.N.B. sang toward the end after an outstanding R.T.P. in Kamboji. It is a great composition in Sanskrit and the way he rendered it was intensely moving, sad and poignant as if he sensed that he did not have long to live. Curious to learn whose creation it was since it did not carry any ‘mudra’ of the composer, I asked somebody in the audience and was pleasantly surprised to learn that it was G.N.B.’s own! Although I was familiar with his compositions in ragas Amritha Behag, Saranga tharangini, Kaanada and Ranjani by then, I had never heard G.N.B. sing any of his own compositions in his concerts. So the Bombay concert is very special to me because I was fortunate to be present at the only concert which gave me an idea how his compositions would sound when he himself rendered it! Before closing this article, I would like to share the opinions of two of G.N.B.’s famous disciples, Dr. M.L. Vasanthakumari (M.L.V.) and Sri.Tanjore S. Kalyanaraman, of their illustrious Guru. Both of them had stayed with me and my family in Garden City, NY, for a few days during their concert tours of the States and Canada in 1976 and 1978, respectively, organized by the Carnatic Music Association of North America (CMANA) of which I was the President then. Besides their regularly scheduled concerts, I had arranged chamber concerts consisting entirely of G.N.B. krithis by them at my residence. Remembering the Yedukulakambodhi krithi I had heard sung by her Guru himself, I requested M.L.V. to include it in her concert. The day before the event, M.L.V. wanted to go over the krithi once or twice because she had forgotten a couple of lines of it. My family, myself, her daughter and her accompanists sat around her to listen to her practise the song. She was in a joyous mood and started singing the pallavi of the krithi when she suddenly stopped and began to sob uncontrollably. Tears started flowing freely and we were anxious to know what was bothering her. She took a few minutes to compose herself and then turned to me and said, ‘Mama, I have never wept for anything in my life, but this song reminded how great my guru was in every aspect of his life and so I could not control myself”. She then went on to assure me that she would do justice to this song in the concert but I told her firmly that that was out of the question. Sri. Kalyanaraman and I had long discussions about his Guru, his music and his personality and on one occasion I asked him why he chose G.N.B. to be his mentor. Back came the spontaneous and unhesitating response: “Because he was a genius”. That succinct statement says it all! Although the Genius is no longer with us, his divine music reflecting his incredible Gnaanam, Nayam and Bhaavam will for ever endure! recipient of the first Vadyajyothi award from CMANA. R: First of all, congratulations on recieving the Vadyajyothi award from CMANA (The Carnatic Music Assocaition of North America) at its 35th anniversay. K: Thank you. Yes, I am very excited to get it. R: Well, you have received numerous awards from many prestigious organizations. Why are you so excited about this award and in what way do you consider it special ? K: What makes me very happy is that this award is designed by CMANA after an award given to my guru Dr. M.L. Vasanthakumari. 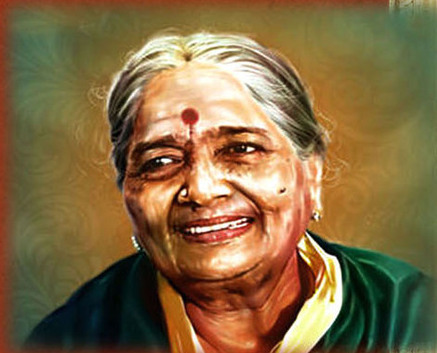 In 1976, she got from CMANA the award called Gaanajyothi. I feel like being blessed by her always. 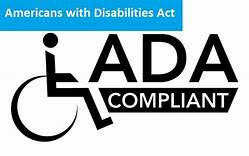 Plus, CMANA is the most important organization in the USA. I also need to thank the many CMANA committee members who hosted various tours of mine: Dr. Rajagopalan, Dr. Ramaswami, Dr. Uma Roy, Mr. Subbiah, Mr. Swami Nathan, Dr. Soundaram Ramaswami and many others. R: Wow! It is amazing you remember so many by name and tours. In fact, this type of a rapport with organizers is something that is very special about artists like you and of your time. K: No, no. It is really special about how they treated us. R: Well, the feeling is mutual. It is how you treated us that really made us reciprocate, I should say. You always put people before anything else. OK, let us talk a bit about your tutelage under Dr. MLV. Dr. MLV used to say that in those days leading accompanists refused to play for female main artists and that was a real problem and that she is so grateful she found you, and you turned out to be someone who could play on par with any male accompanist. In fact, she even went as far as saying that a lot of credit for the success of her concerts went to your deft accompaniment. Can you tell us how she found you and how it was playing for her? K: I hail from Andra and learned for six years from a disciple called Vijayeshwara Rao of Dwaram Narasimha Rao Naidu. My father was a police inspector and was subject to transfer from place to place. Also, at that time Andhra did not offer much opportunity for a musician. So, when I was to enter college, my grandfather who was in Madras felt that my father should move his family and me to Madras. R: I see. Was the transition easy? K: Well, each summer I used to visit Madras and also go to Thiruppati with my grandfather. Thus Madras was familiar to me. The problem is we got there late and they said all seats in the music college were already filled up. I was heartbroken but really beleived that my Lord Venkatachalapathi will not forsake me and decided to go to Thiruppati again. Even on the way back, we were informed that there was a relative who could help us, and he did manage to get an extra seat allotted for my sake. That is how I got to Chennai. My grandfather also arranged with Mr. Chandrasekharan to be my violin teacher. R: So, did you meet Dr. MLV in the college? K: No, not really. Charumathy was my senior in college. Her mother liked my violin playing very much, starting from the interview where she heard me the first time. Thus, I got to playing for concerts with Charumathy. Charumathy’s mother was very intent on my being able to accompany Dr. MLV. So, she would arrange concerts in her house and invite Dr. MLV so that she can listen to my playing. Dr. MLV was appreciative, but nothing really came out of it for long. K: One day in 1971, Dr. MLV called Charmathy and asked her if she could find out if her friend, that is me, could play for her in a marriage concert. Her regular accompanist Sri Tiruvallur Subramaniam was stuck in Calcutta due to some problems with trains. I was ecstatic that a great artist was asking me to accompany. I still remember – the marriage was in Dharmaprakash on August 20, 1971. She sang Mohanam, the kriti Jagadeeshwari, as the main piece. R: Yes, that kriti bore her stamp; I have a nice recording of that from a London concert of hers. No wonder you remember. K: True, I played as best as I could. She said I did very well, but I never heard from her again for about six months or so. 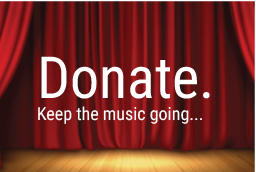 In those days, I was playing for the Bombay Sisters Saroja-Lalitha, DKP as well as Balamurali sir, but still I wanted to play regularly for MLV since I loved her music. It was therefore disappointing that I didn’t get called again by her and started worrying whether she didn’t really think I was good enough. Charumathy’s mother, however, kept my spirits up by telling me that it was probably more due to the fact she already had a set and it is not easy to break up a set. K: Dr. MLV’s house was somewhere between my grandpa’s house and my college although it involved a small detour. Though I could walk directly, I always took the detour in the hope that some day Dr. MLV would see me and call me in. But that didn’t happen either. R: Oh, that sounds romantic. K: I don’t know, it didn’t work. So, one day I emboldened myself to walk into her house. She was sitting there chewing pan after a meal and welcomed me in speaking in Telugu which she knew quite well. She then called her secretary and asked her, “Didn’t I ask you to arrange four or five concerts with Kanya?” That surprised me quite a lot. But that also worried me. How could I accept 4 or 5 concerts without consulting the Bombay Sisters and not knowing their schedule? But anyway, I went ahead and said yes. The Bombay Sisters were so gracious and helpful always. They would find someway I could meet my commitment to MLV by even rescheduling even their own concerts. They are really one of a kind. R: So, that is how you became part of the MLV team. K: No way. She did not take me in right away. She in fact put me to a lot of tests. She was a perfectionist when it came to her concerts. So she invited me to accompany her in a temple concert at a vinayaka temple. 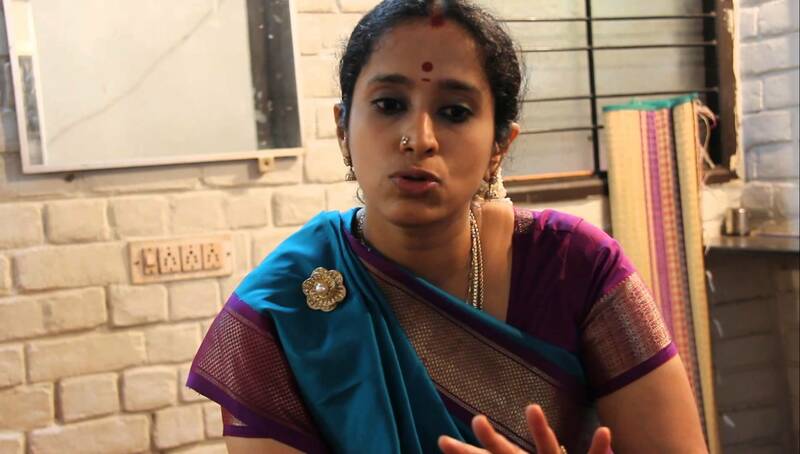 She had invited her close friends and supporters like TAFE Mahadevan and a few other connoisseurs of music telling them to assess if I was good enough and if they felt I could be groomed to become a great accompanist. She sang quite a few obscure ragas in that like Shivashakti and all. I guess I should have played well since she did make me her regular violinist. I should say it is all the blessing of Lord Venkateswara and the aseervadams of my gurus and parents. R: You have done many new innovations in your field. Were you the first one to play violin with saxophone and tavil? K: No, not at all. There were others who had already done that with both saxophone and with mandolin. But it is just that my playing cliqued very well both with Kadr’s saxophone and Srinivas’ mandolin, and our joint concerts became quite popular. R: Well, there was this big write up about this one hundred instruments program by you. K. Yes, For the millennium, I did a concert with 100 instruments on the stage. Also, I have held many concerts with 50, 75 violins and all. I have also done a sataragamalika with 100 raga compositions. R: Tell me more about your other experiments. K. Well. One other thing I am proud of is the vaadyalahari comprising of violin, nadaswaram and veena. You see, people don’t usually bring in nadaswaram. It is a raja vadyam, and people were always afraid if it could be synchronized with the other instruments. I just got brave and did that. With God’s grace, that also worked out to be a success. I got tremendous encouragement from Narada Gana Sabha, particularly from Sri R. Krishnaswami and Sri R. Surianarayanan. Anytime I thought up something new, they were the first people I would approach, and they were always the first to accommodate me. I also got support from other major sabhas like the Music Academy as a result of such exposure in Narada Gana Sabha. R: Well, it should have been a pleasure to perform with your student Embar Kannan who is himself shaping up as a great violinist. You should be very proud of him. Right? K: Yes, indeed. I am very fortunate to have had some good students, and Kannan is top notch. R: What is the next challenge you have given yourself? K: I am working on something, something no one else has tried before. But sorry, I can’t tell you now what it is, and I must hold it in suspense. It will come out in a couple of months and I am very confident it will be a success too. But I am not ready to disclose it too early. R: That is okay. We will respect that and wait. Finally before we close, what would you like to say to CMANA members at large, if any? K: First and foremost, I want to thank you all for the opporutnity to be part of the 35th anniversay celebrations of CMANA I also thank you all and the committee for giving me the award. My request to CMANA is that being an eminent institution they should give such an award each year and encourage many more artists. THANK YOU !